Discharging is the process of removing dye from fabric in a controlled manner. 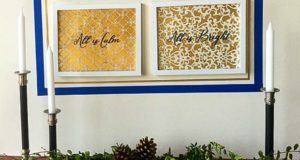 Jacquard Discharge Paste can be painted or stamped on dyed natural fiber fabric, and its thick viscosity makes it ideal for using on fabrics with Royal Design Studio Stencils. Discharge Paste will safely remove color from natural fibers and is also safe for use with silk. Unlike bleach, Discharge Paste will not weaken or deteriorate the fabric. 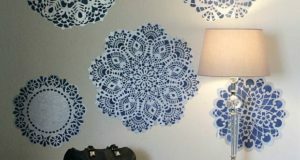 Discharge Paste can be stenciled on natural fabrics just as you would any other stencil paint medium. Secure your fabric. 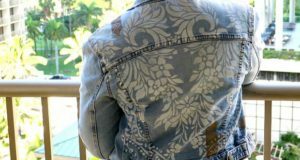 If stenciling an article of clothing we recommend inserting heavy paper or a piece of cut cardboard to ensure that fabric will lie flat and not shift while stenciling. Dip just the tips of a Stencil Brush into Discharge Paste and offload excess paste onto paper towels. Apply the Discharge Paste through the stencil using either a swirling or pouncing motion. 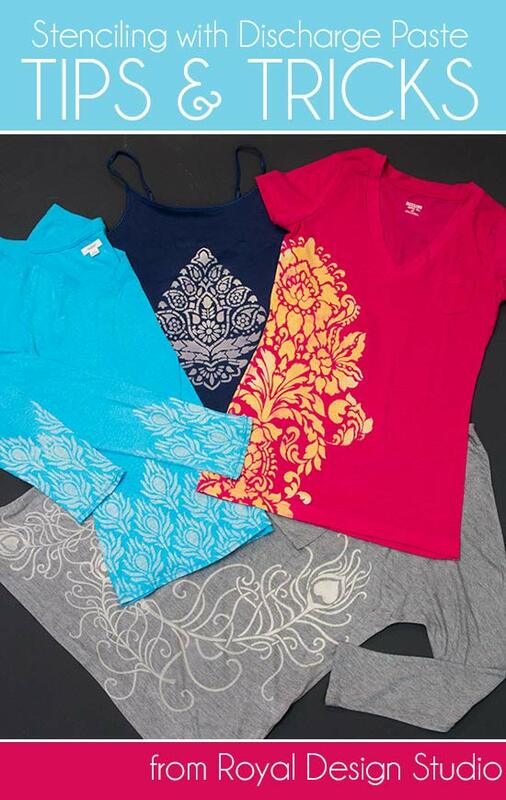 Discharge Paste is a clear medium, so on some fabrics it can be difficult to see where you have stenciled. We recommend that you run the stencil brush over each element 2-3 times to ensure complete coverage. Allow the Discharge Paste to dry on the fabric. This should take approximately 20 minutes. 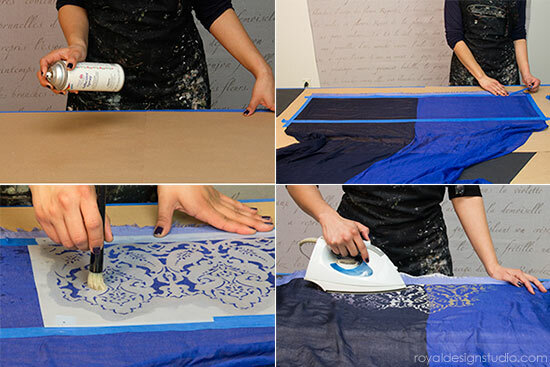 When the paste is dry, iron with steam on the highest setting possible that is appropriate for your fabric type until you achieve the desired amount of color removal from the fabric, usually about 10 minutes. Wash your discharged fabric before using or wearing to remove any residual Discharge Paste. You can achieve different degrees of discharging by the amount of Discharge Paste you apply and by the time you spend steam ironing. For a less dramatic discharge, experiment with less time and pressure with your steam iron and also try using a pressing cloth or paper towel between your iron and fabric. Sheer or thin fabrics can be secured to a working surface by applying a light misting of spray adhesive to paper that has been laid out on your surface. Lay your fabric carefully over a misted surface and secure additionally with tape. Use a good iron! If your iron spits out water while you are ironing, it can dissolve some of the Discharge Paste that is present on the fabric, creating a discharged “water spot”. If you find after ironing that your discharged areas are uneven, you can always go back and stencil more Discharge Paste on and iron again. Because the Discharge Paste can be hard to see on some fabrics, it can be difficult to properly line up your stencil repeat with an allover pattern. 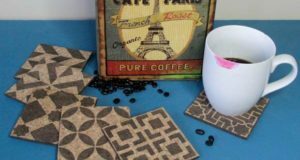 If you wish, you can stencil one repeat, let it dry, and then iron it to reveal a strong pattern before continuing to stencil additional repeats.